FOR OVER 100 YEARS, THE UNION AND ITS MEMBERS HAVE PARTNERED TOGETHER. The Union fights for your rights on and off the job. Your contract ensures that you have rights at your workplace. Business Agents and Shop Stewards are in place to enforce that contract. Moreover, the Teamsters ongoing involvement in local, state and federal politics, helps ensure that working Americans are protected, and pro-labor leaders are elected that will support issues important to you. YOUR UNION COULD NOT SUCCEED WITHOUT YOUR SUPPORT. While the union is working for you, it is vital to the continued growth and strength of the Teamsters that members be actively involved in the union. 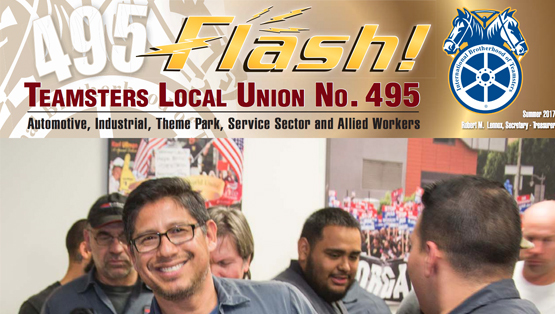 Attend rallies, union sponsored events, or volunteer your time to an important union cause. Be active and get involved!